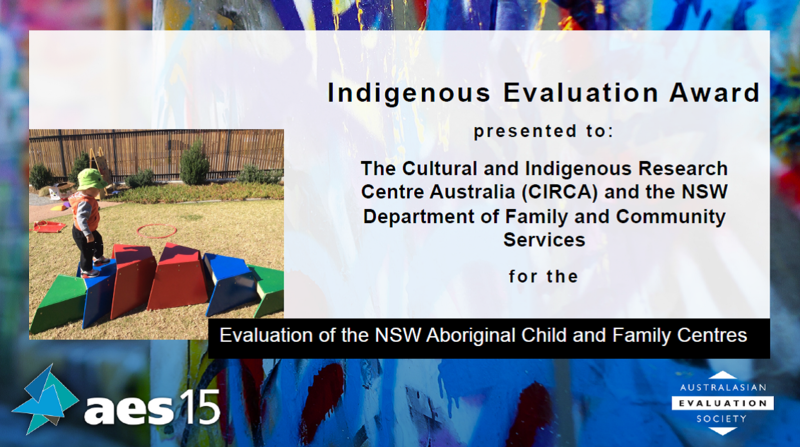 From 2011-2014, we undertook a long-term evaluation of Aboriginal Child and Family Centres (ACFCs) in NSW, for the NSW Department of Family and Community Services. These nine Centres provide early childhood services and support to Aboriginal families. Our action research approach allowed the evaluation to be relevant to each of the local Centres, while also fulfilling the needs of funders and policy makers for a state-level evaluation. Our assessment was flexible and responsive to the shifting situations on the ground. Our team provided both independence and rigour, and the Centres benefited from our support, advocacy and capacity. 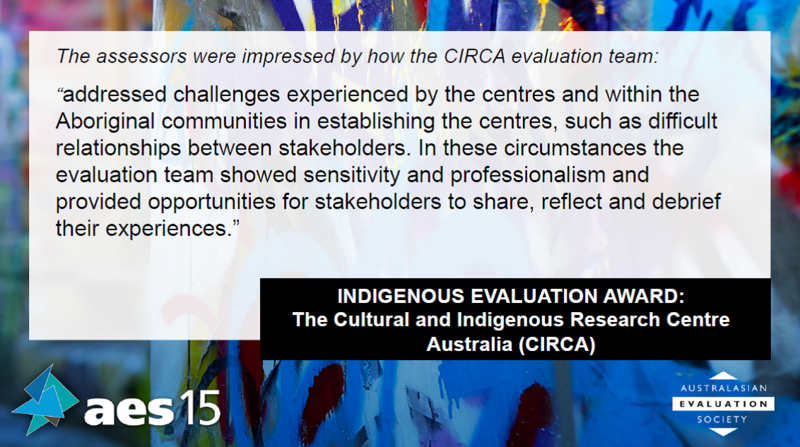 In partnership with the NSW Department of Family and Community Services, we received the Australasian Evaluation Society’s 2015 Indigenous Evaluation Award for Excellence in Evaluation for this work. Each of the nine Centres was involved in developing the evaluation framework, providing feedback, and reviewing the preliminary evaluation findings. Aboriginal people were involved in all aspects of the evaluation, including the design, data collection, analysis and interpretation, reporting and finalising the recommendations. In total, we held in-depth interviews and group discussions with 78 parents, carers and family members of Aboriginal children attending the centres, 71 staff, 22 service partners and 12 departmental staff across the nine different Centre locations and communities. We produced recommendations for enhancing the ACFC service model at a statewide level, and also provided feedback to each individual centre. The federal government confirmed they would not extend targeted funding to the centres before the final evaluation report was written. However, FACS provided reduced funding to the Centres until 2016, and five of the nine Centres received funding through the federally funded Indigenous Advancement Strategy. According to the Centres, the material we prepared as part of the evaluation was key to securing funding grants.